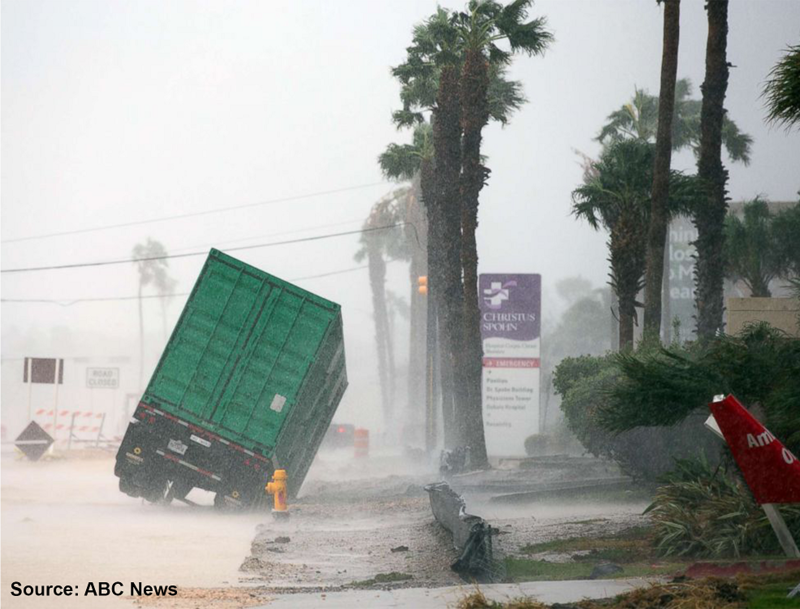 Hurricane season’s effect on the trucking and logistics industry runs deeper than closed roads due to flooding or fallen trees. First and foremost, we are praying for those directly affected by the catastrophic storms and doing what we can to help. Labor day through the new year, is typically a busy season with extra truck loads on the road in anticipation for increased consumer consumption due to the holiday season. 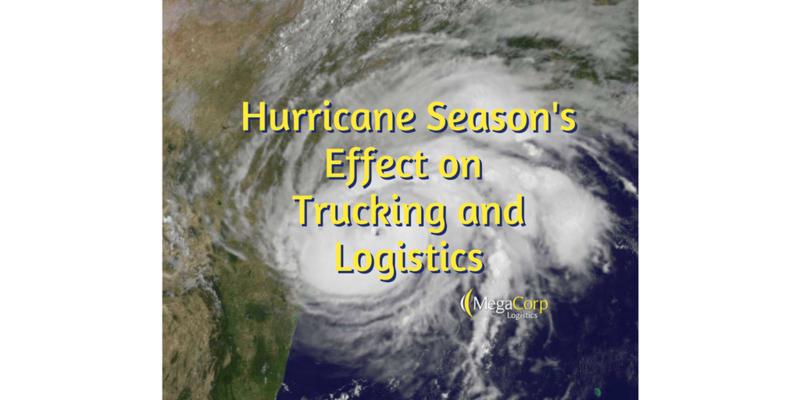 Capacity has already been tight and rates have increased this year, even on an average day (see our article on why capacity is tight here), but when you add in hurricanes to the mix, it alters the trucking and logistics industry nationwide, not just in the area directly impacted by the hurricane. FEMA, understandably, takes thousands of trucks out of regular circulation to aid with disaster relief by bringing food and supplies to the affected areas. When so many trucks are pulled in a different direction due to an emergency situation, it puts a kink in the capacity flow nationwide. As these trucks come out of the market, it places increased pressure on the trucking and logistics industry. With tight capacity and greater demand for capacity, it increases prices and alters the flow of goods. Capacity is pulled from all areas of the country – Washington, New York, Florida, California, etc. 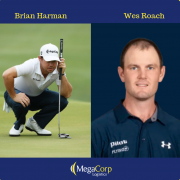 to help in a time of need such as those affected by Hurricane Harvey, so this pressure is felt nationwide. 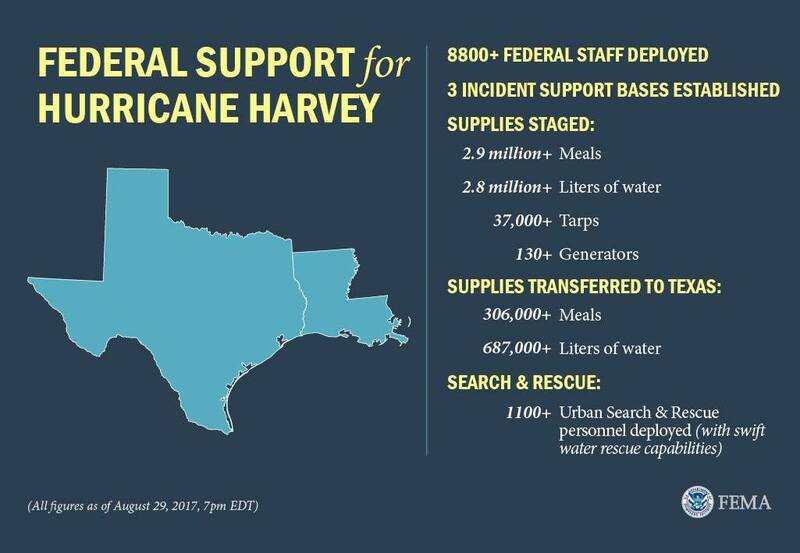 FEMA has the ability to offer high paying rates to get many trucks to the affected areas ASAP. In regards to Hurricane Harvey: Houston is the fourth largest city in the United States and a major transportation hub. Houston is also where most of the goods from Mexico filt er through before going on to their final destinations. With massive flooding and road closures (freight is being diverted to Dallas, Arkansas, Oklahoma, etc.) 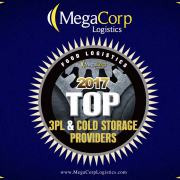 which rapidly fills warehouses and cold storage in those locations putting pressure on companies to find other locations for their goods. In some instances, production is moved to other facilities and ports or stopped until the flooding subsides and necessary repairs are made to the facilities. Gas prices have already increased by 15%. Gas prices have surged by 15% since Hurricane Harvey and these new prices will last for months to come. Fourteen Gulf Coast refineries have been shut down or are in the process of shutting, while several others are operating at reduced rates, according to S&P Global Platts. These total and partial shutdowns have wiped out at least 3.9 million barrels of refining capacity, Platts estimates. In other words, Harvey has disrupted about one-fifth of the country’s total refining capability. In regards to Hurricane Irma: Many produce crops destroyed. 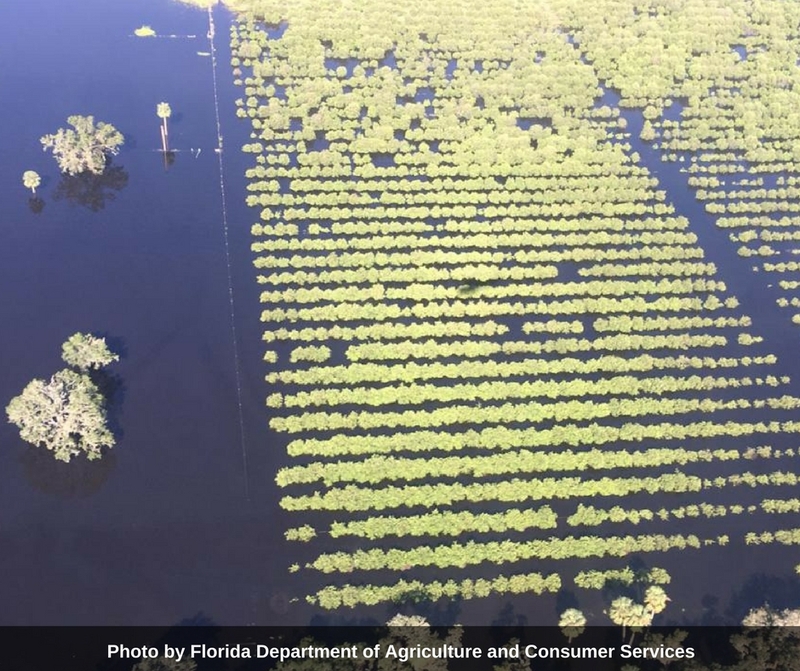 In southwest Florida, one grower said Sept. 11 that Irma resulted in 100% loss of anything that was planted. “We had a lot of specialty peppers, eggplants and tomatoes in the ground and we had just planted some summer squash last week,” said Steve Veneziano, vice president of sales and operations at Oakes Farms Inc., Naples, Fla.
Those crops are lost, he said, and replanting those vegetables won’t be easy, he said. “You can’t just throw the seed in the ground — you have get the seed, bring it to the greenhouses, seed it and after 42 days you can pull it and plant it,” he said. After that, it is another 70 to 90 days before the vegetable is harvested. This damage extended up through Georgia and other southeastern regions in a wide variety of fruit and vegetable crops. Trucks will be less inclined to take loads going to these regions if there is a shortage or reloads going out of FL and the southeast which drives prices up. Will rates drop after hurricane season? “2018 is gonna be a really nasty year” for trucking capacity, said economist Noel Perry of FTR and Truckstop.com at a recent panel discussion. Unfortunately, with the ELD mandate coming into affect, consumer confidence up and the driver shortage, the tight truck market is here to stay for a while. Unless you have a vast, nationwide database of reliable carriers, you will find some loads very difficult to cover, the price will be high, or worse, the load will be left on the dock. Side note: One of MegaCorp’s differentiators is that we do not leave any loads at the dock. If we commit to picking up a load for our customer, we do. 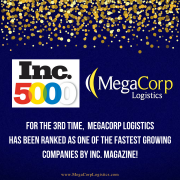 We are in constant communication with our clients, network of dedicated carriers and with our internal MegaCorp team to stay up to date with what is happening within the trucking and logistics industry and to offer fair rates for the best value to our clients and transportation partners. Do you ship full or less than truckloads? 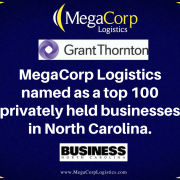 For a quote, please click here, call us at (910) 332-0820 or email quote@megacorplogistics.com. 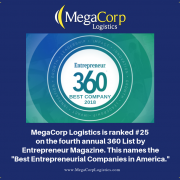 MegaCorp Logistics, founded in 2009 by a family of logistics experts, is an award winning, asset based, logistics firm with remarkable growth due to the superior service from their employees in our offices located throughout the United States. Their truckload and less-than truckload shipments cross the entire US and Canada which gives them the ability to cover most lanes. 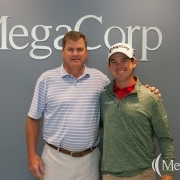 At MegaCorp, they strive to create and nourish long-term, strategic partnerships with their customers while providing customized solutions for their freight needs. 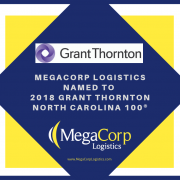 Their attention to detail and daily efforts to provide exceptional service allows them to bring efficiencies and potential cost-savings to their customers supply chain. They do this while ensuring their clients products are delivered safely and on time. 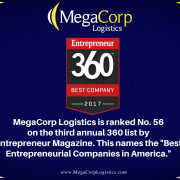 MegaCorp continues to be industry leading, innovative, creative and efficient while offering the best to their customers, transportation partners and employees. It’s The MEGA Way!